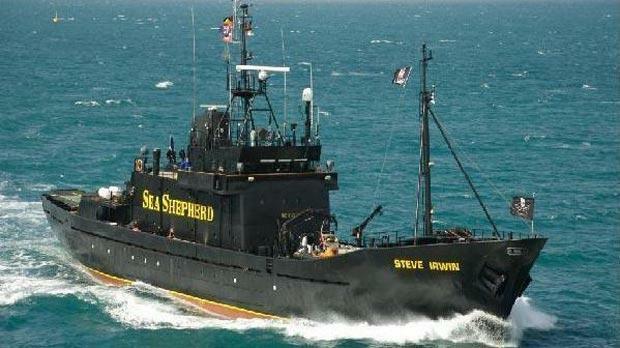 Should the Sea Shepherd lose the court case initiated by Maltese company Fish & Fish Ltd, would they reimburse the £520,000 donated to enable the organisation to free the Steve Irwin, Fish & Fish asked this afternoon. In a statement, the organisation said it was licenced to operate a blue fin tuna farm by ICCAT and the Maltese government. In June last year, members of the Sea Shepherd pounced on a cage containing a catch of live blue fin tuna being towed to Malta, purchased by Fish & Fish from a number of fishermen. During this incident, the ship Steve Irwin "deliberately and repeatedly" rammed the cage and deployed dinghies and divers to tear open one of the cages. As a result a good part of the catch was lost. The company is now proceeding in the London Court against the Sea Shepherd to collect damages. Whilst acknowledging that the matter was still sub judice, contrary to what Paul Watson was saying the catch was perfectly legal, Fish & Fish said. "It was carried out during the fishing season in conformity with all applicable regulations. "It is in any case clear that Paul Watson has no authority to judge the legality or otherwise of catches. "On the contrary the Steve Irwin fled when they thought that patrol boats were on their way." Fish & Fish said this was a highly dangerous confrontation on the high seas in which lives could have been lost. "It was a wanton act of unprovoked aggression, totally irresponsible and without any legal basis whatsoever." It said that as a result one of the company's crew members was grievously injured and a catch was ruined. Fish & Fish decided to commence judicial proceedings for redress and sought to obtain security for the claim. "The arrest of the Steve Irwin was necessary because it was increasingly becoming apparent that a judgment against the Sea Shepherd would not be enforceable given the lack of suitable assets. "In July the company became aware that the Steve Irwin would be stopping at Lerwick in Scotland and therefore asked the Scottish court to issue a warrant of arrest on the vessel in security of the claim which being made in London. "The Scottish Court accepted this request and rejected a further request by the Sea Shepherd Conservation Society to free the ship without providing security." Eventually, the Court ordered the Sea Shepherd to place a £520,000, which, according to Captain Watson was funded entirely by donations, Fish & Fish said. "The question which arises at this point is whether the Sea Shepherds will return these donations if they lose the case?"